Environmental futurist Amory Lovins famously said that people don’t want kilowatts of electricity; they want the byproducts: a cold beer and a hot shower. St James’s Gate Brewery in Dublin, Ireland, offers an opportunity to see exactly how those kilowatts of electricity become cold beer with the help of an intelligent gas turbine microgrid. The brewery has produced stout for more than 250 years. It is now run by Diageo Ireland, a prominent Irish food and beverage company, with annual exports of more than $835 million. The brewery receives 100 percent of its electricity and steam via a gas turbine microgrid that incorporates a combined heat and power system (CHP). The microgrid runs connected —“in parallel”—to the grid. It exports about 40 percent of its power to the grid, and can also take up to 5 MW from the grid. Fueled with natural gas, the facility provides several examples of multi-tasking microgrid intelligence. During outages it goes into island mode to keep the electricity flowing. The microgrid uses CHP to increase system efficiency, and has remote monitoring as a double layer of protection to signal system trouble. When the 15-MW microgrid senses a disruption on the grid, it not only separates the brewery from the grid, but also begins serving another nearby business: the Guinness Store House, one of Ireland’s most popular tourist attractions. By islanding facilities, it protects them from experiencing the grid outage. Instead, they rely on the microgrid’s generators until grid power is restored. 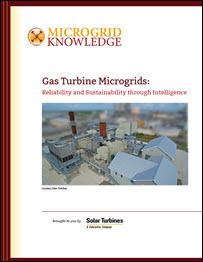 The microgrid uses three advanced Taurus 60 gas turbines, each 4.8 MW. “If there is grid disturbance the whole brewery and CHP go into island mode. In that mode, the turbines go into frequency control or speed control and match the site load exactly. That happens four or five times a year,” said Ronan Nevin, CHP plant manager for Gatepower, a subsidiary of Veolia Alternative, which owns and manages the energy center at the brewery. The gas turbine microgrid is crucial to the operation of the brewery given the high production loss the brewery faces from power outages. If the brewery goes down, it takes 12-24 hours to get the manufacturing process fully operational again. “As the site is located in the center of Dublin city, the risk of accidental damage to the electrical grid due to road works etc. is higher than, for example, a new industrial estate on the outskirts of town,” Nevin said. Relying solely on the CHP plant has proven to be a good bet for the brewery. The plant has run continuously with no unplanned shutdown since it was installed in 1997. The brewery requires roughly 5 to 8 MW to operate during normal operations. Typically, two turbines operate, while a third is on hot standby, said Nevin. If the system trips, the third turbine starts up automatically to keep power flowing reliably. A remote monitoring system warns the plant operators of any disruption so that they can respond quickly. A manager in the Netherlands provides remote monitoring and tracks the alarms and notifies Gatepower so that they can work out any issues. The microgrid also has on-site engineers tracking reliability, so the remote monitoring system serves as a double safeguard. 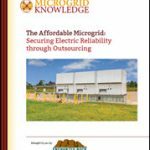 The microgrid’s electric reliability is only half of the equation. The brewery also relies on the CHP system for 100 percent of the steam heat used to brew the beer. The temperature of each brew must be carefully controlled. 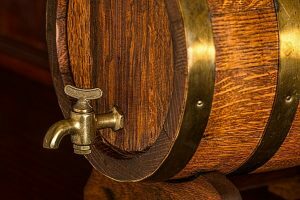 An interruption in steam pressure could mean loss of the batch of beer being processed. The CHP system, which includes three 27-tons/hour steam boilers, has proved reliable, and no back-up steam source has been necessary. 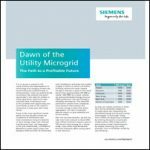 Why is the CHP Microgrid Market Ripe for Growth?